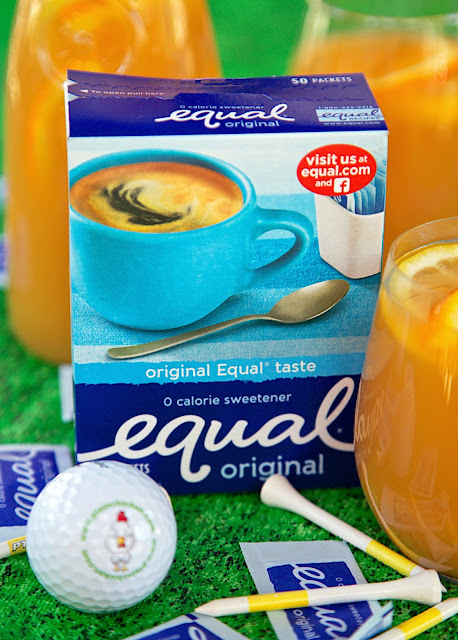 This is a sponsored conversation written by me on behalf of Equal® 0-calorie sweetener. The options and text are all mine. 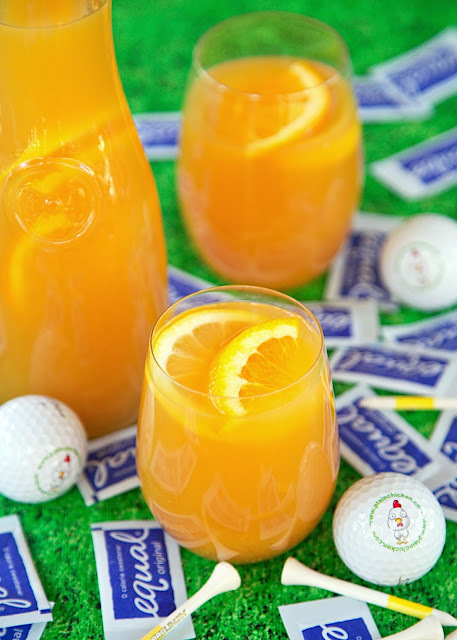 Tiger Tea - tea, lemonade, orange juice sweetened with Equal®. SO refreshing and delicious. It is the perfect summer drink! It makes a ton - great for parties! Everyone loves this kicked up sweet tea! 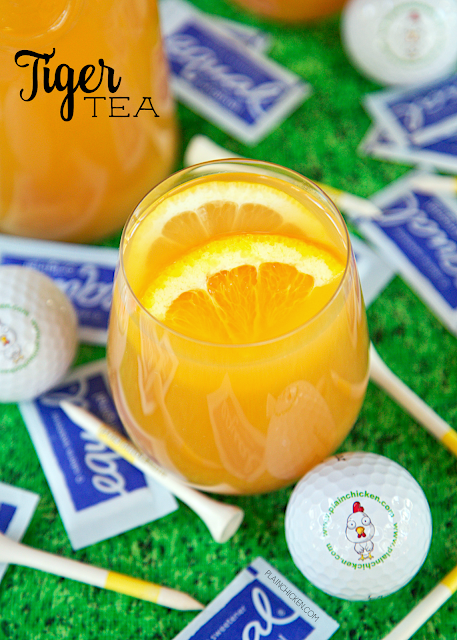 We are spending our weekend watching golf, eating Pimento Cheese sandwiches, Egg Salad sandwiches and drinking Tiger Tea. There is not a Tiger in the tournament this year, but there will be some Tiger Tea at our house! We had this Tiger Tea on a recent trip. The menu said it was sweet tea with lemon and orange. It sounded so good that we had to try it. SO refreshing and delicious. I knew I wanted to recreate it at home. It was perfect timing with the golf tournament. Feel free to add some vodka to this and make this spiked Tiger Tea! 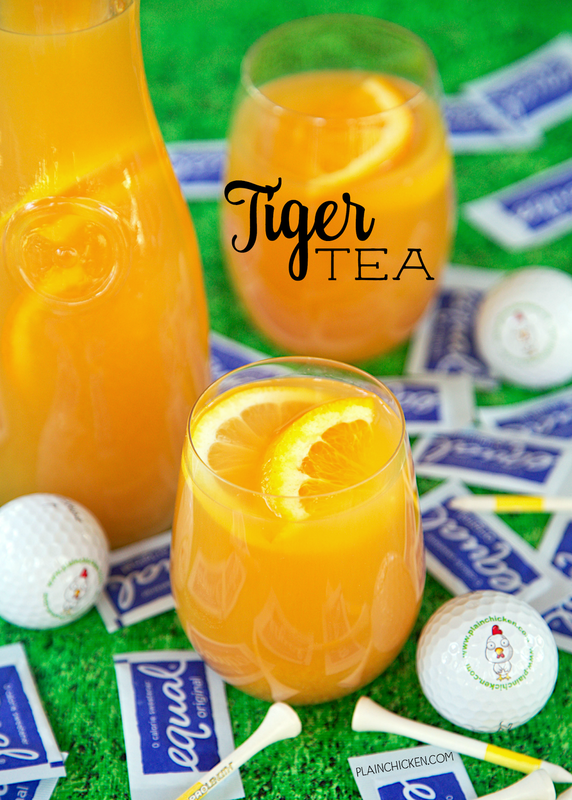 This Tiger Tea is the perfect summer drink. Seriously! You can make it several days in advance and refrigerate it until you are ready to drink it. Serve it cold over ice. This would be great for any upcoming cookouts, Mother's Day, Memorial Day, 4th of July - really any party! We are having a few people over next week, and I plan on serving this at dinner. It is such a great alternative to regular sweet tea! Bring 4 cups of water to a boil. Remove from heat. Place tea bags in water and steep for 5 minutes. Discard tea bags. Stir in remaining ingredients. Refrigerate and/or serve over ice. Can add vodka for a boozy cocktail. Everyone has the right to eat or drink what they want. I usually use Splenda, that is my choice. I personally have never heard of anyone dying from artificial sweeteners. Thanks for all your great recipes, this one sounds great for the summer. I'm loving The Masters this year - they really have to fight for every shot with that crazy wind. I think I'm going to make your pimento cheese sandwiches for tomorrow!